Starting the weekend proper on the Bar Smith rooftop is Dillon Nathaniel and his hypnotic beats. On Saturday we’re hitting it hard with three shows across the Valley. 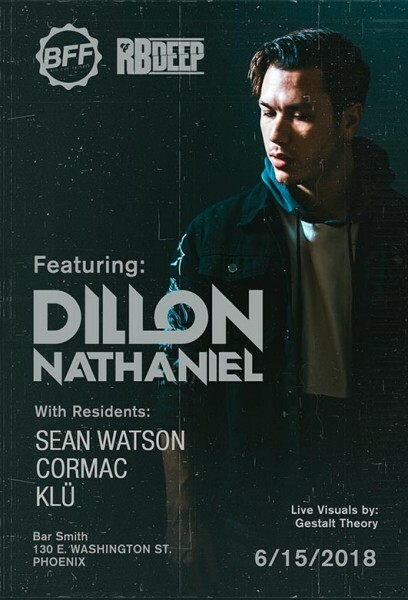 First, Yellow Claw takes over the Talking Stick Resort pool, then we have Dion Timmer and Phiso in downtown Phoenix at Monarch, and finally, Shelley Johannson will have you dancing the night away at Shady Park in Tempe. Dillon Nathaniel is a young bass technician who seen a quick rise, but his roots run deep. He’s a former audio engineer and gear junkie who found his footing in music at an early age as a vocalist and guitar player. His father hoped to impress upon him a strong emphasis on dance music exposing the budding musician to the likes of Carl Cox and Sasha on road trips from the age of 8. He’s closely watched for his moody and meticulous house beats and a favorite here in The Valley. 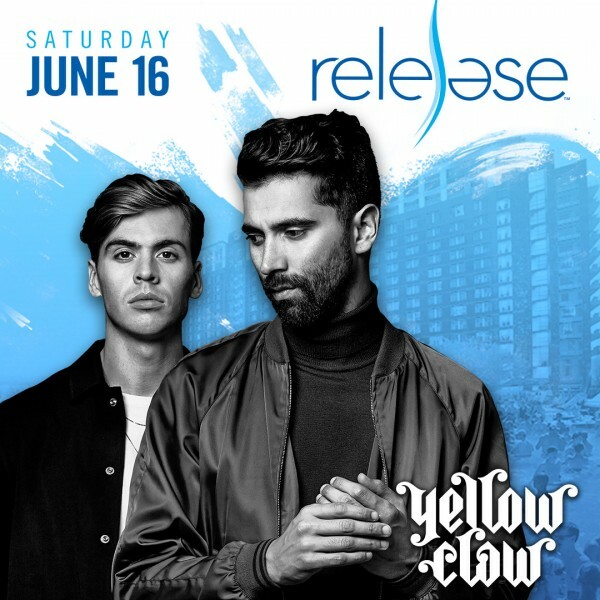 Yellow Claw, made up of the Amsterdam duo Jim Aasgier (Jim Taihuttu) and Nizzle (Nils Rondhuis), has been a well-known name in the industry for years. They first began their rise to fame way back in 2010 as a trio, after hosting a night party at the Jimmy Woo, one of Amsterdam’s most famous nightclubs. In 2012 and 2013 they released a slew of successful singles, which charted on the Dutch and Belgian national charts. In 2013, they signed with Diplo‘s Mad Decent label, which helped launch them to international fame. In 2016, the trio became a duo, but that has not slowed Yellow Claw down. 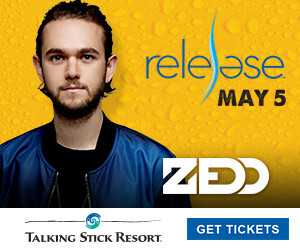 They have since released several successful singles and two studio albums as well as performed at major festivals around the world, including on the main stage at the iconic Tomorrowland festival in Belgium. Dion Timmer is one of the biggest upcoming names in electronic music. He’s has been gaining popularity over the past couple of years, playing festivals with some of the grimiest names in dubstep like Excision and Zomboy. After a short time (and a lot of hard work), he already has played some impressive festivals like The Paradox and Lost Lands 2017. Grab a seat and get ready to “go nowhere” because this song is sure to live on and get thrown into dubstep sets everywhere! 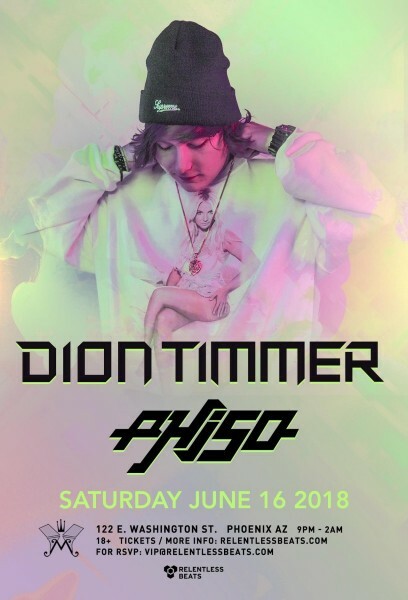 Alongside Dion Timmer will be Phiso, whose Facebook bio it reads, “Canadian producer, makes loud music people listen to.” Other than his extravagantly heavy music, that’s about all you can dig up on Phiso. However, his music speaks for him, very loud, as a matter of fact. With such an intense sound, Phiso has landed a spot on major lineups across North America. In fact, he has a tour of Australia coming up next month, further proving his advancement as he makes a name for himself in the dubstep scene. One foot in the booth, one foot on the dance floor is how Shelley Johannson likes to get down. “Dance music draws forth feelings of inspiration and unification to something bigger than oneself. I didn’t want to just be a part of it, I wanted to contribute to it,” she says Since early on she has strived to reach beyond the walls of a nightclub. Motivating her passion for music into DJing and production. She is inspired by many elements of life. Like the beat of a heart, a solid drum groove forms the foundation of her emotively driven sound palette. RB Weekend Preview: Matoma, MAXIMONO, and Trapfest 2018!